The Ocean Cleanup develops technologies to extract, prevent, and intercept plastic pollution. The Ocean Cleanup’s goal is to fuel the world’s fight against oceanic plastic pollution by initiating the largest cleanup in history. About 8 million tons of plastic enters the ocean each year. Part of this accumulates in 5 areas where currents converge: the gyres. At least 5.25 trillion pieces of plastic are currently in the oceans, a third of which is concentrated in the infamous Great Pacific Garbage Patch. This plastic pollution continues to do the following damage in the ages to come. At least one million seabirds, and one-hundred thousand marine mammals die each year due to plastic pollution. The survival of more then 100 species, including the Hawaiian Monk Seal and Loggerhead Turtle, could be jeopardized by plastic debris. Plastic pollution is furthermore a carrier of invasive species, threatening native ecosystems . Globally, plastic pollution causes at least US $13 billion of damage each year to industries that include fishing, shipping, tourism and the cleaning of coastlines. The US West Coast spends approximately US $500 million each year to clean up their beaches. The costs of removing debris from beaches is on average US $1,500, and up to US $25,000 per ton. It had always been assumed that cleaning the oceans was impossible, due to the vastness of the areas in which plastic is concentrated. Using vessels and nets to collect the plastic from one garbage patch would take about 79,000 years and tens of billions of dollars. Besides, such an operation would cause significant harm to sea life and generate huge amounts of CO2 and other emissions. Why move through the oceans, if the oceans can move through you? Instead of going after the plastic using boats and nets, The Ocean Cleanup will use long floating barriers, using the natural movement of the ocean currents to passively concentrate the plastic itself. Virtually all of the current flows underneath these booms, taking away all (neutrally buoyant) sea life, preventing by-catch, while the lighter-than-water plastic collects in front of the floating barrier. The scalable array of floating barriers, attached to the seabed, is designed for large-magnitude deployment, covering millions of square kilometers without moving a centimeter. The Ocean Cleanup’s research into the feasibility of its concept indicates that using a single 100 km cleanup array, deployed for 10 years, will passively remove 42% of the great pacific garbage patch. We conservatively estimate this to be 70,320,000 kg. This (conservative estimate) would imply a cleanup cost of € 4,53 per kilo. The Ocean Cleanup aims to start extracting plastic from the Great Pacific Garbage Patch in the first half of 2018. The main idea behind The Ocean Cleanup is to let the ocean currents do the work. An installation of Ushaped screens channels floating plastic to a central point. The concentrated plastic can then be extracted and shipped to shore for recycling into durable products. The passive systems is estimated to remove half the Great Pacific Garbage Patch in 5 years. C-Job Naval Architects is proud to announce its partnership with The Ocean Cleanup. The Ocean Cleanup is a non-profit organisation that has designed the first feasible method to rid the world’s oceans of plastic. C-Job will assist The Ocean Cleanup’s activities with engineering capacity and knowledge sharing. 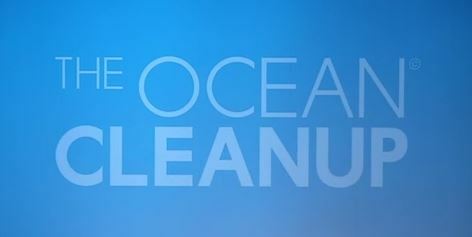 The Ocean Cleanup has developed a passive cleaning system that moves with ocean currents. It consists of a floater with a solid screen underneath, concentrating plastic debris, making it easy to extract and bring back to shore for recycling. While launching several expeditions to map the degree of plastic pollution in the Pacific Ocean, The Ocean Cleanup also performed scale model tests in the North Sea. Deployment of the first cleanup system in the Pacific Ocean is scheduled to take place in Q3 of 2018. On September 8, we will launch the world’s first ocean cleanup system from our assembly yard in Alameda, through the San Francisco Bay, toward the infamous Great Pacific Garbage Patch. To celebrate this historic moment, we would like to invite you to watch the deployment live, either online or in person. After six months of assembly, we can now announce that System 001 is officially complete. It is currently positioned entirely in the Seaplane Lagoon – the sheltered body of water adjacent our assembly yard in Alameda. The cleanup system will make tow with the Maersk Launcher at Anchorage 9 on September 7th, the morning before the launch. The system (floater, skirt and stabilizers) were transferred into the lagoon on August 24th to assemble the last few elements. These include the E&I pods, that are equipped with the navigation lights, GPS, satellite communication equipment, cameras and AIS tracking devices. The pods also include solar panels to power the electrical equipment on the system while it is out at sea. On Saturday, September 8, 2018, System 001 will embark on its voyage to the Great Pacific Garbage Patch and to begin the cleanup. On September 8, we will launch the world’s first ocean cleanup system from our assembly yard in Alameda, through the San Francisco Bay, toward the infamous Great Pacific Garbage Patch. To celebrate this historic moment, we would like to invite you to watch the deployment live, either online or in person. The Pacific Trials was our last chance to run through a series of tests before we tow System 001 the distance to the Great Pacific Garbage Patch. For the last two weeks, our crew aboard the Maersk Launcher conducted a various tests on the system and the environment around it to be certain it was ready for the challenge of the world’s largest ocean garbage patch. De plasticvanger van The Ocean Cleanup heeft te maken met een tegenvaller. Het door de Nederlander Boyan Slat bedachte schoonmaaksysteem beweegt te langzaam en houdt het plastic dat in de Grote Oceaan wordt verzameld niet vast. Daardoor kan het niet worden opgevist. Het team probeert de hapering zo snel mogelijk op te lossen. Slat is niet uit het veld geslagen door deze pech, want hij hield vooraf al rekening met dit soort verrassingen. Hij heeft ook goed nieuws. In de 600 meter lange arm die op zee drijft en zo het plastic vangt, zijn geen in zee levende schepsels aangetroffen. Months after its highly anticipated deployment off the San Francisco coast, Boyan Slat’s multimillion-dollar Ocean Cleanup system is not cleaning up any plastic. “System 001″—which consists of a 600-meter-long floating pipe with a tapered 3-meter skirt attached underneath designed to catch debris—”is attracting and concentrating plastic, but not yet retaining it,” the organization admitted. Slat explained that System 001, which has been in the Great Pacific Garbage Patch since October, might be traveling too slow to retain the plastic. “Sometimes the system actually moves slightly slower than the plastic, which of course you don’t want because then you have a chance of losing the plastic again,” the 24-year-old Ocean Cleanup founder and CEO said. Due to a structural malfunctioning of the cleanup system, today we made the decision to return to port earlier than planned. We will set sail as soon as an appropriate weather window is available. On Saturday, December 29th, during a regular inspection of the cleanup system, our offshore crew discovered that an 18-meter end-section had detached from the rest of the system. Although it is too early to confirm the cause of the malfunction, we hypothesize that material fatigue (caused by about 106 load cycles), combined with a local stress concentration, caused a fracture in the HDPE floater. It’s important to note that both the 580-meter main section and the 18-meter end section are both completely stable; all bulkheads are intact, and the end section has two stabilizers affixed to it, so rollover is not possible Also, because no material was lost, there have been no safety risks for the crew, environment or passing marine traffic. However, as the redundancy in the cleanup system’s sensors and satellite communication (which are mounted on both end sections) has now been compromised, we concluded it is sensible to return to port. We are, of course, quite bummed about this as 1) we hoped to stay out for a bit longer to collect more data on plastic-system interaction, and 2) it introduces an additional challenge to be solved. At the same time, we also realize that setbacks like this are inevitable when pioneering new technology at a rapid pace. Being in port provides us with the opportunity to make upgrades to the system with the aim of solving the plastic retention issue, which we previously reported. We are returning to port with terabytes of data that we will use in coming weeks and months to develop the necessary upgrades. The Maersk Transporter is also carrying around 2000 kg of plastic that we recovered from the patch over the past few weeks through a combination of the cleanup system and ghost net fishing (for comparison: once fully operational, System 001 is expected to harvest 1000 kg per week). Although we would have liked to end the year on a more positive note, we believe these teething troubles are solvable, and the cleanup of the Great Pacific Garbage Patch will be operational in 2019. The fact that the cleanup system orients itself in the wind, is able to follow the waves well and is able to catch and concentrate plastic gives us confidence in the technology. The Ocean Cleanup loopt maanden vertraging op na afbreken veegarm. De plasticvanger van het Nederlandse project The Ocean Cleanup is kapotgegaan tijdens het opvegen van plastic afval op de Grote Oceaan. Een van de uiteinden is afgebroken. De veegarm wordt in de komende weken naar Hawaï gesleept voor reparatie. Dat gaat waarschijnlijk een paar maanden duren. Het afgescheurde uiteinde is ongeveer 18 meter lang. Waarschijnlijk kwam het los door materiaalmoeheid. In de loop van het jaar moet het systeem terugkeren naar de zogeheten Great Pacific Garbage Patch, de drijvende vuilnisbelt vol plastic deeltjes, tussen Hawaï en de westkust van de Verenigde Staten. Het systeem heeft in de afgelopen weken ongeveer 2.000 kilo plastic opgevist uit de oceaan. Het gaat om onder meer achtergelaten visnetten. 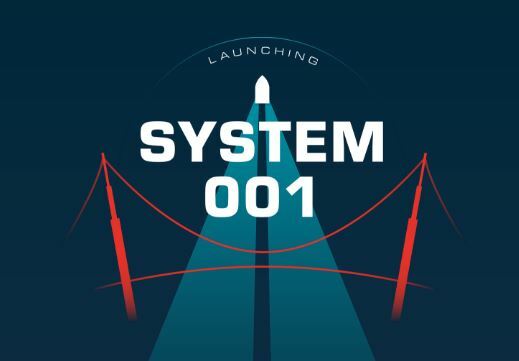 System 001 is our first system and we planned to learn a lot from this new technology. During the four months of deployment, the challenges we faced have brought us a greater understanding of the environment of the Great Pacific Garbage Patch and how our system behaves in it. All three shifts collected incredible amounts of data which we are now using to enhance the design of our technology. System 001 has been brought back to port, but we will return to the patch with an improved design in the coming months.